Joey Logano started eighth in Sunday’s AAA Texas 500 at Texas Motor Speedway. 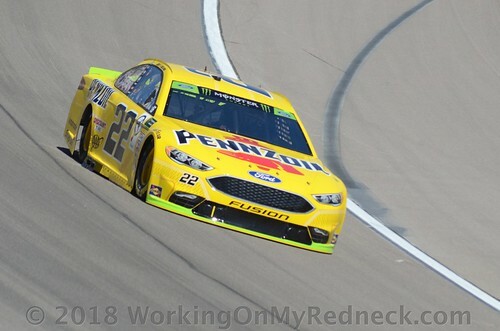 On the opening lap, Logano was able to move into fourth position and he remained there until the competition caution on lap 30. 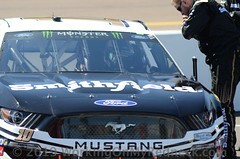 He reported that his AAA Ford Fusion had built tight throughout the opening run, primarily between Turns 1 and 2. On the pit stop, crew chief Todd Gordon made the call for four tires and added tape to the nose. 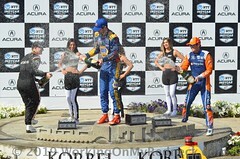 Through the remainder of Stage 1, Logano ran as high as third position, thanks to good short-run speed, however, he drifted back to sixth-place before the end of the segment due to a tight-handling condition. Logano also described his No. 22 Ford Fusion as unpredictable in traffic. The AAA crew made an air pressure adjustment during the stage caution on lap 88. 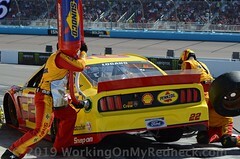 Solid pit work gained Logano two positions. Logano scored a fifth-place finish in Stage 2, a segment that featured long green flag runs. He took two tires during the stage caution on lap 172 plus made a significant air pressure adjustment on the right-side tires. At lap 228 under caution, Gordon made the call for a four-tire stop plus an additional air pressure adjustment. 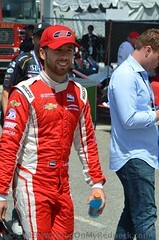 Logano entered the pits in fourth position but left pit road with the lead, thanks to excellent work by the AAA team. Logano reported at lap 260 that the AAA Ford was now loose on corner entry into both Turns 1 and 3 plus tight through the center. He pitted with just over 50 laps remaining for four tires and fuel. The changes improved the handling of the No. 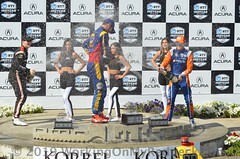 22 Ford and Logano claimed a third-place finish at the checkered flag, his 12th top-five finish of the season.